Elmhurst-Chicago Stone Co. began in 1883 with an 11 acre quarry in Elmhurst, IL. In the beginning, the company's principal customers were builders who wanted stone for foundations and walls, which was hand-cut and sold as dimension stone. This process left large quantities of stone chips, which were then sold to local contractors for use in road building. The demand for these chips became so great that the company installed crushers and screens to increase efficiency. Stone from the Elmhurst quarry has been used in the Chicago and Northwestern railroad roadbeds, state highways, and public buildings in and around DuPage county. 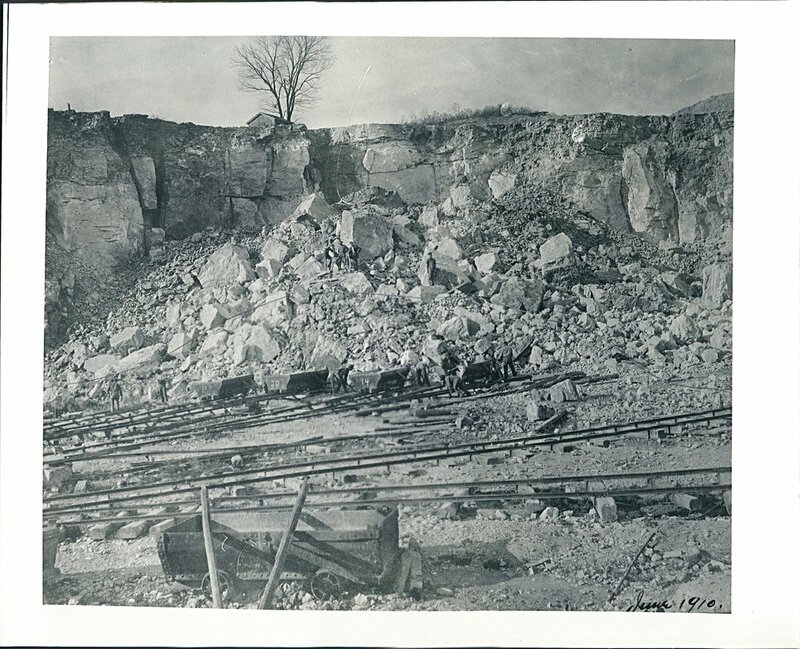 Millions of tons of dolomitic-limestone have been shipped from the Elmhurst quarry for use in local roads and buildings. Blasting limestone created smaller stone and screenings, which ultimately led the company to pursue a new venture in ready mix concrete production. Mixed with cement, sand, water, and smaller rock, ready mix concrete makes an excellent building unit. The stone from our quarries was taken out almost entirely by hand up to 1914, when the first conveying and mechanical handling equipment was installed. From that time on the progress was rapid. At the end of 1929 approximately 15 acres of the Elmhurst location had been quarried out to a depth of 70 feet. 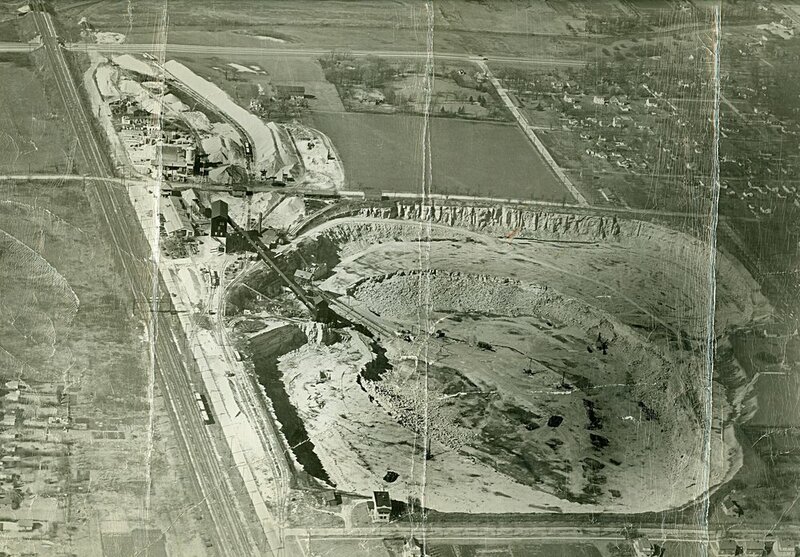 The Elmhurst quarry was sold to DuPage County in 1992 and turned into a storm-water management facility, with the ability to carry 2.7 billion gallons of floodwater and a depth of up to 200 feet! The storm-water relief, provided by the Elmhurst quarry, has help save dozens, if not hundreds of homes in Elmhurst from flood damage. 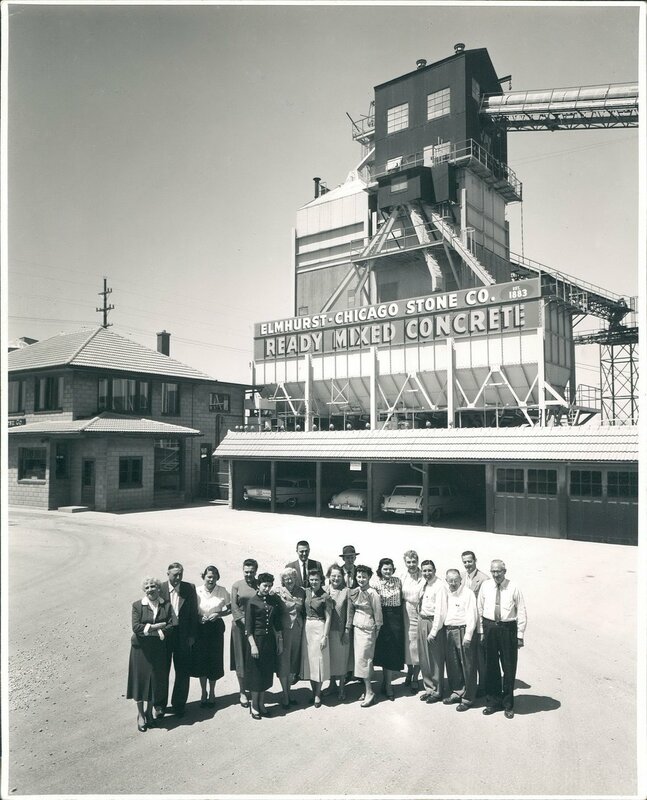 In the late 1940's, the company widened its scope of activities and began producing ready-mix concrete. Today, Elmhurst-Chicago Stone Co. has ready-mixed concrete operations in Elmhurst, Barber's Corners (Bolingbrook), Kaneville and Bartlett. Elmhurst-Chicago Stone also offers recycled aggregate materials, CCDD (clean construction and demolition debris) dump, and clean concrete dump sites. Today, Elmhurst-Chicago Stone Co. is led by its fifth and sixth generations, with its headquarters in Elmhurst, IL at the original site of its first quarry. In the early days, employees were paid by the amount of stone loaded per day. 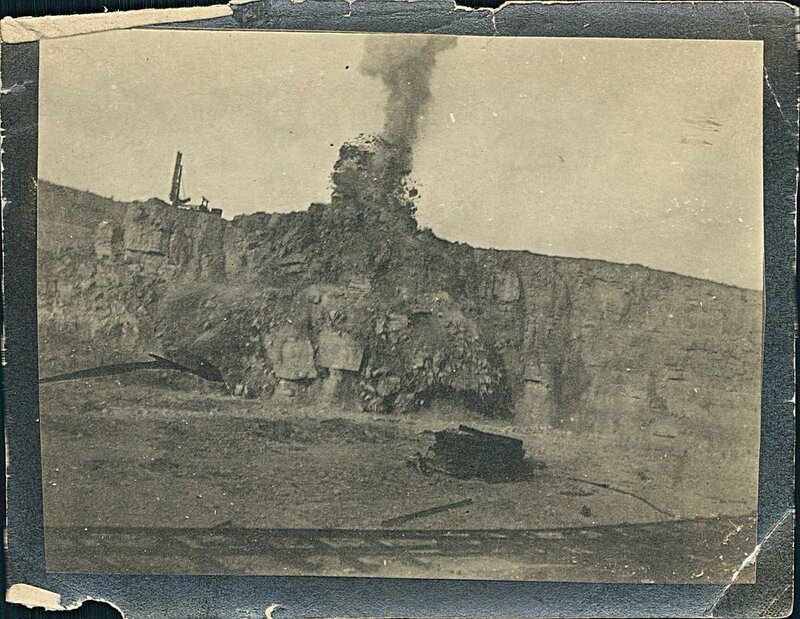 March 1923, the company put a new Osgood 'railroad type' steam shovel into service in the Elmhurst quarry. ECS Board of Directors 1958, from left to right - George F. Hammersmith, Chester A. Franzen, J. Russell Swanson, Charles J. Hartley, Robert L. Hammerschmidt, Charles P. Hammersmith, Martin Hammerschmidt and George F. Hammerschmidt, Sr.